TANSA make double window sight flow indictors are engineered to perfection having different models suiting different application and mounting orientation with robust body superbly welded and cover plate bolted with over size toughened glass for clear and visualization of liquids in turn enables wellness of line avoiding harmful choking. 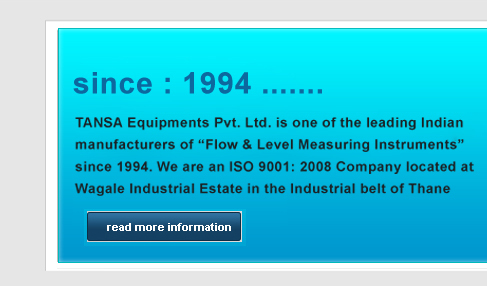 Various different models are available as per required application and in different material of construction, M.S, 304 S.S, 316 S.S.
TANSA make full view sight flow indicators are demanded for its clear flow visualization. 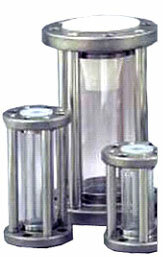 It is used for visualization of flow in line having DM water, acids and chemicals having less of particulates in it. The use of toughened borosilicate glass has made our full view sight flow indictors robust and steardy in long run. TANSA make full view sight flow indicators are recommended for vertical flow as well as horizontal flow. 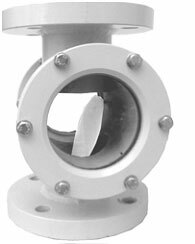 We manufacture sight glass flow indicator in varied material of construction suiting the service the best taking into consideration pressure and temperature details of our clients.